At Billam & Henderson, LLC, our attorneys understand the numerous challenges and stressors facing the criminally accused in Olathe and surrounding Kansas communities. If you or a loved one has been charged with a DUI, traffic violation or a more serious criminal charge, you may feel isolated and alone as you attempt to navigate the legal system. As experienced criminal defense attorneys, we can address your questions and concerns, defend your rights as we build a case, and ultimately mitigate the potential consequences of your arrest. There is more at stake after an arrest than just potential fines or jail time. In fact, depending on the circumstances, you could lose your driver's license, be subject to mandatory treatment, serve time in prison and be forced to live with a tarnished criminal record. With our lawyers by your side, you can feel confident knowing your best interests are being represented. Having handled numerous cases and assisted clients from all walks of life, we routinely represent clients at preliminary and bond hearings, various motions and conduct trials. Although we strive to achieve the best possible result in each case, a dismissal is not always a possibility. That is why we also pursue generous plea agreements or reduced charges to mitigate the potential consequences facing our clients. If you or a loved one is being investigated or has been arrested, contact our experienced trial attorneys to begin building your case. In many instances, taking immediate action can positively affect the outcome of your case. With the experience, skill and resources to handle criminal cases both large and small, we at Billam & Henderson, LLC, are serious about protecting and assisting our clients. 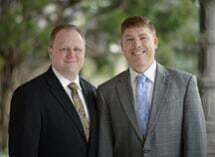 Schedule a free initial consultation at our Olathe, Kansas, law firm to discuss your criminal case in confidence and begin taking action to clear your name.